Two boys were researching animals in the desert ecosystem. This is the way they showed their learning. Marveling over the many options that are packed into the notion of a Maker’s Space is like going to the best candy store; however, once you are in the candy store, you have to CONTROL yourself. Running through the aisles randomly tasting every treat, throwing wrappers on the floor and eating until you get sick might not be the best of plans, or a lack there of! Let’s face it, the Maker’s Space is a candy store to kids–they have an insatiable desire to be make stuff; however, they need careful and explicit guidance into how a classroom maker’s space is to be used and the reasons for it. This does not happen magically or overnight. It is a guided process that takes many weeks, and starts on day one of a new school year. And above all, this is not a space that is controlled by the teacher, but it is is a space with purpose, and kids need to understand that. As I have ventured into my new quest of trying to make my instruction/craft/space more student focused, personalized, and striving for a more ’21st Century- skill- available’ environment for kids, I have noticed that teachers are excited about many components and ideas, but they are a bit wary of the notion and creations of the ‘Maker’s’ part of the environment. 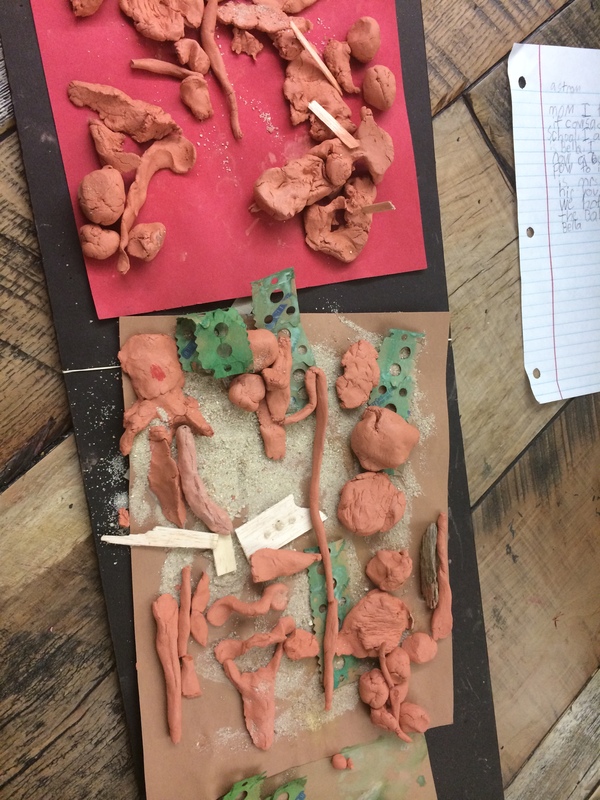 I can’t count the times that teachers have inquired, “So, how do you manage that Maker’s Space?”, and I would answer with my usual “um, errr, it is fantastic and my students make a proposal to me on a planning sheet–yadda yadda…” That never felt like enough. We teachers might be somewhat wary of a Maker’s Space because it is an area that we cannot predict or control—it’s MESSY. Trust me, my adventure last year came with many Maker’s challenges; however, it also brought so many more remarkable celebrations! There were times that the chaos of the Maker’s Space resulted in a headache and tons of reflection afterward—continually trying to improve and wrestle the space. My conflict always revolved around the 21st Century tenet of teacher as coach, facilitator, not dictator. In the beginning, trying to manage the space in a way that “looked” pretty and calm, turned me into a demander of this and that. I knew that sort of teacher within the great space was not what kids needed, and finally, after lots of revisiting and give and take with my students, we came up with a way to work toward quality products within the space; moreover, products in which we were proud to share with larger audiences. The Maker’s Space can be a culture in the classroom, as I have detailed in blog postings and within a Google Site titled: Maker’s Space = Maker’s Culture. The elusive Maker’s Space has the potential to be a hotbed for student discovery and it offers opportunities for personalized learning; moreover, it can propel a student beyond and out of routine academic benchmarks which have made or broken self esteem over the the past 100 years. For example, the Maker’s Space is where ‘Sally’, a student with dyslexia, found her voice and became ultra important within our community because of her clever hand built interpretations of book settings. She was not the girl sitting at her desk continually needing help with the action of reading. She became revered for her creativity, problem solving, critical thinking, and communication. A Maker’s Space does not care about a DRA score, it cares about critical and creative thinking and problem solving. And guess what, when the brain is churning and moving and grooving–fueled with confidence and self worth—that DRA score will most likely rise! In summary: The Maker’s Space was the main vehicle for creativity, communication, critical thinking and collaboration in OUR classroom last year. When we all gathered around the large table on Fridays to share our products, I would very often sit in amazement at what the kids had accomplished…in what seemed to be that chaos that makes some teachers and administrators shush with conviction until the classroom silences. I fight being THAT teacher sometimes–busy and engaged kids create a buzz that can result in….yes…..a headache. Moving through the Maker’s Space journey, messing up, collaborating and trying again has been a necessary part of the process for me. It is dawning on me that I have been accidentally, without knowing, working within THE design process already, so why not teach the process to my kids and give community voice to it? But, I know they need more tools to organize their thinking. And today, there I was, halfway thinking of my next blog posting as walked through the Denver International Airport terminal. Amongst beautiful pictures of children’s faces along the terminal hallway, all of this came to me, a simple connection of sorts, one in which I know many of you have had already. Maker’s Space = Culture Fueled by Design Theory. For this coming academic year in my classroom of 25 second graders, I will give my students even more explicit instruction and support, featuring the Design Thinking Model. Last year, students were encouraged to complete design plans for their experiences in the Maker’s Space. This worked (somewhat); but, I always knew that it could be improved upon—well…..just like one improves upon their prototype in the design process. 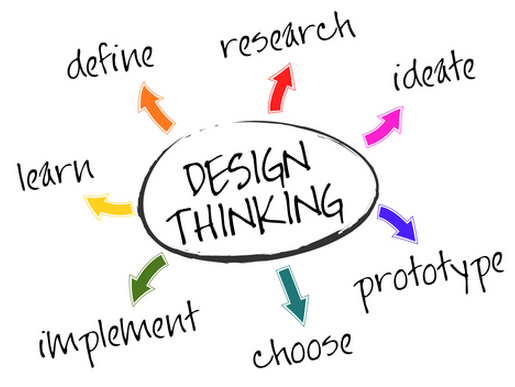 Having cruised the internet, I have collected a few interesting sites that feature Design Theory in primary spaces, there are many, just plug Design Thinking into a search engine. My thinking, as mentioned, will be to carefully teach and model each process-step to my students and make the stages visually evident in throughout the room. This way, students will not only have a tangible paper/digital way to organize their thinking, but it will become a part of the look of the space. Students will also begin to use the vocabulary as they communicate their design thinking and process. I will keep you posted, let’s consider this the IDEATE phase of my new and improved Maker’s Space in the Primary Innovation Studio!